Vaness Martir and Meryl Meisler, two women connected through Bushwick and old photographs, agreed to meet with me to talk about the upcoming exhibition titled Defying Devastation, prepared for Bushwick Open Studios 2012 at The Living Gallery. Vanessa Martir grew up in Bushwick under rather dramatic circumstances. 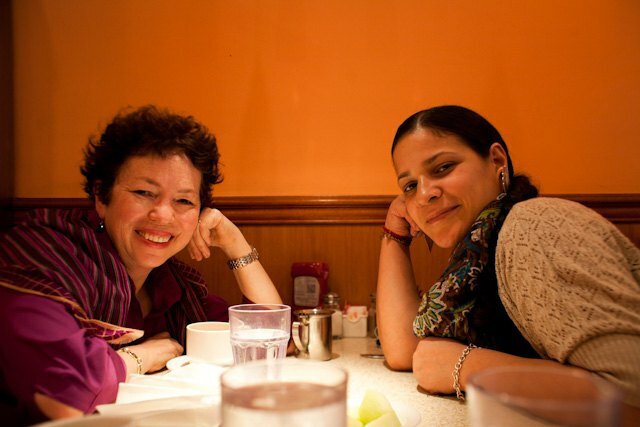 “I had two moms,” Vanessa explains growing up with lesbian parents. “That was '70s and '80s, New York…The climate was just very homophobic.” Additionally, her mother was mentally ill. As a child Vanessa believed that she ought be quiet about her personal and family life, which had devastating consequences. At just six years old, Vanessa was molested by a close family friend. Feeling ashamed and guilty, she kept silent about this until the age of 29. “That man in the window molested me,” Vanessa says, pointing at an old man at Meryl Meisler’s photograph. Vanessa Martir, today a published author has been working on a memoir about her childhood in Bushwick. When she was 13, she participated in a program for talented and gifted children, and left Bushwick for a boarding school in Massachusetts. “Nobody," Vanessa answered, when I asked who else from Bushwick she knew who participated in this kind of program. Later on, Vanessa graduated from Columbia University, and now she teaches creative writing at CUNY and other institutions. Meryl Meisler used to work as an art teacher at a school in Bushwick. She used to carry an inexpensive plastic point and shoot pocket camera, and take hundreds of photos of street life on her way to and back from school. 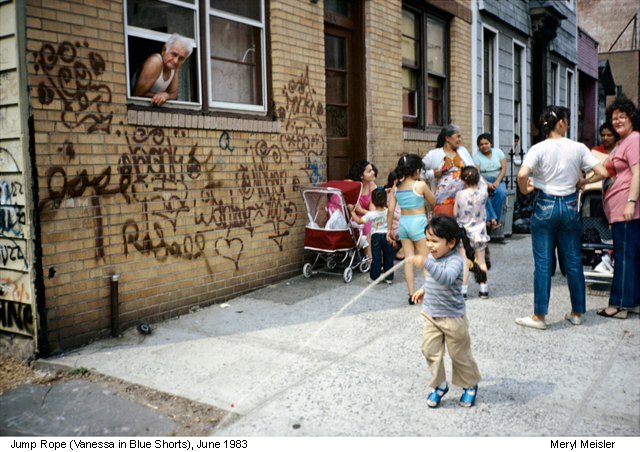 The photographs of Bushwick in the 1980s by Meryl Meisler are an invaluable material of life in what used to be one of the most dangerous parts of the city. Bushwick after the New York Blackout in 1977 wasn’t exactly a safe or pretty place to raise children, but yet Meryl’s photographs from the time are playful, full of life and happiness. 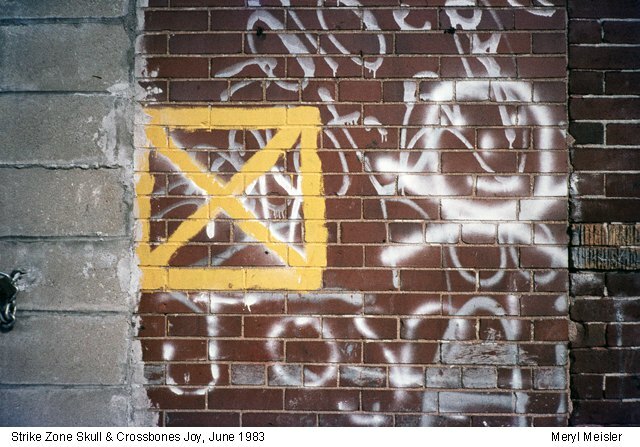 In December 2011, Soho Photo Gallery invited Meryl Meisler to show her Bushwick photographs in a solo exhibition titled Here I Am: Bushwick in the 1980s. Bushwick Daily’s contributor Shannon Firth wrote an article and created an audio slideshow about the exhibition. Vanessa Martir read the article and recognized herself in one of the photographs. Working on a memoir and processing events of her childhood in Bushwick, she is certain that it wasn’t just an accident that brought her together with Meryl Meisler. 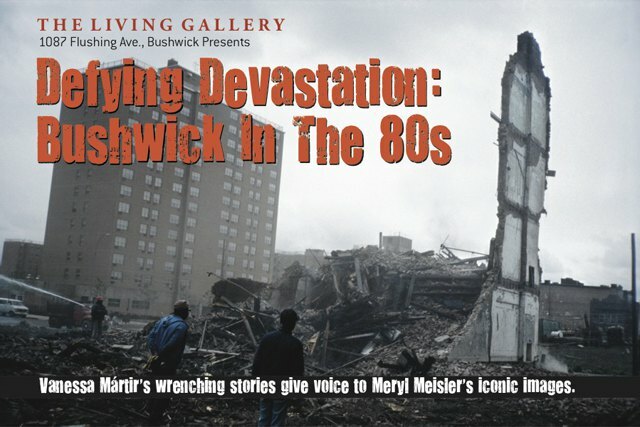 "Defying Devastation" Bushwick in the 80s opens on June 1, 7-10pm at The Living Gallery at The Loom. Additional readings and performances will take place on June 2 and 3.